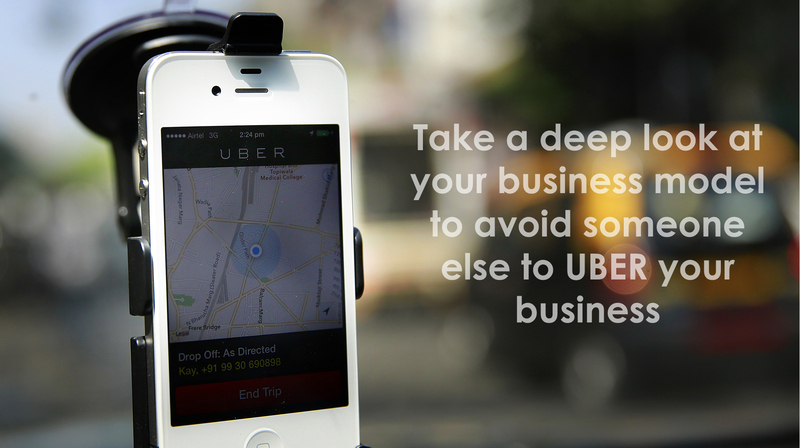 DON'T LET OTHERS UBER YOUR BUSINESS . . .
A veteran of the Direct Selling industry and social media guru, Jonathan Gillian published a great post asking if Direct Selling would survive the UBER economy. Hakki Ozmorali also published an article on The Word of Direct Selling with a provocative title. Driving a Pink Cadillac or… Driving for UBER?. I enjoyed the reading, and I am a passionate interviewer of every UBER driver I meet, but I don’t believe UBER competes with direct sellers. As Jonathan pointed out, driving a taxi is not for everyone, taxi drivers will find it hard to do a party or enroll distributors for a living. It is true that both represent incremental earnings, but driving a taxi would not earn you six figures, or allow people to leverage their network to earn additional money. Driving a pink Cadillac is aspirational, driving a Prius is not! Consuming and selling vitamins or jewelry implies a kind of lifestyle very different from spending eight hours in traffic. UBER challenged the status quo of a business model that has no reason to prevail. UBER went after the inefficiencies and wrong doings of an ossified industry that abused consumers and exploited drivers under the protection of rules and indifferent bureaucrats. I reside in Miami where taxis are dirty, controlled by white-collar gangs with policies and regulations targeted to increase fares and create horrible work conditions for drivers. UBER offers convenience to both drivers and passengers; the rest is just the basic economics of supply and demand and business efficiency supported by determined entrepreneurs. By now, if you are still reading this article, I hope it is because you got the message. Direct Selling is full of old habits and packed with conventional wisdom driven to defend the status quo and the complacency of things that don’t need to be changed because it always worked before. Please pardon the following selected questions, if they sound irreverent. o Why charge consultants for tools to sell? o	Why distributors have to wait long to get paid? o	Why self-enrollment is a blasphemy for most? o	Why replicated websites are barely used? o	Why let backend systems keep clients hostage? o	Why it is so hard to place an order? o	Why not engage customers directly? I’m sure people smarter than me can ask a harder set of questions, and more controversial ones about onboarding, retention, and compensation plans. But my point is to call your attention to the fact that we should be looking for a full house remodeling, not just a facelift. To improve the process, we should revise the way direct selling companies engage and empower the field and the way they touch consumers. After all, this is true for every other industry, simply because people are more connected than ever and have access to information right on their mobile devices, ALL the time. Think how your company could remove all fees or at least unifies all tools for consultants into a single rational bundle. Adoption of any tools left to voluntary subscription means results in partial or no ROI. People pay for back office tools, send text messages, newsletters, mobile Apps, replicated websites and of course to process orders. All mandatory and optional fees, together, result in a significant amount of expenses. Drivers don’t pay to drive for UBER, in the way kiosks don’t pay for the advertisements hanging on walls. Make the buying experience similar to Square Up. The Direct Selling industry should only need an iPhone or an iPad to run the business, engage and sell. It should be that simple! This exercise should be your objective while you rethink or remember why your processes are so complicated. If you implement dongles to read credit cards, you could reduce 1 point in your credit card processing fees and use the savings to fund the technology. Think about companies like WyperWallet that can disperse commissions in almost real time worldwide. I can see every payment made with my Amex in real time on my iPhone. Why is it that I cannot have my personal and group metrics in my pocket device, whenever I want it? Re-Design your enrollment, and onboarding process to be like UBER. Make your enrollment real simple, explain the mechanics of how to earn money in a way that my 6-year-old can understand, make the process easy to sign and super convenient to start. Ensure your onboarding is a pleasant experience by commanding the process so that your team is trained and prepared to survive the 91st day on the business. UBER drivers are happy because they get what they have been promised, and UBER takes cares of the things they have no control. Nothing interferes with the driver’s intentions when they leave the parking to start working. Empower consultants with recipes and tools that just work, as Apple did in their retail stores. Beyond your website and your social network activity, consultants are the real face of your business. Apple employees, blue guys at the stores, know their scripts very well. They are armed with iPods that are a true mobile point of sale, helping you to buy quickly, making your buying experience pleasant, despite long lines. You can even pick up a box from the shelf and pay with your own iPhone. Not everyone is an articulated person or has charisma; you need to provide them with proven necessary tools and messages that will lead to success. Reconsider the need to replicate websites or do your portals right. We all can buy almost everything on Amazon and Ali Express. But we choose to buy from people the things that require more understanding and trust other than a simple gadget or pack of diapers that we need to buy at the lowest possible cost. Asking someone to order an antioxidant subscription via a replicated website is not direct selling. Replicated websites are rigid and impose a horrible user experiences. If you want a great e-commerce experience, you should pay the cost of one and hire a real agency that can build for you a world-class website with high-end tools like ATG. Or you could get something like Magento that is affordable, and has a mature shopping experience. On the other hand if you decide to keep your current backend system, you should avoid requesting changes that are not critical and that only increase the complexity, cost or ownership, and your dependency over time. Consider “legalizing” Cash & Carry. A partner, who runs a payment processing startup like Square, stated that 33% of their users are direct sellers, consisting of formal cash & carry businesses, including the Avon’s of the industry. In the world of dongles and cameras to capture payments, iPad all we need. While resellers are still taking orders the old fashion way, direct sales companies are missing the opportunity to gain intelligence. For party planners this does not mean abandoning the practice, it only means accepting the fact that some people would simply prefer to resell. Try to design your order taking experience as if your business depends on it. Eat your “own dog food” to feel the pain you infringe upon your field. It all shall happen in real time, simple, from a mobile device, with a few taps and swipes, in a pleasant way. Your consultants should not have to suffer from your tools, even less your customers and new enrollees. Remember the impression caused by the first person that swiped your credit card on a white square? Now think of you making your consultants expend 3 hours at night placing orders after a party, 3 hours away from the family or 3 hours selling more. Consider touching customers directly. You may call customers people who buy your products at parties, and call distributors people who consume your vitamins on a regular basis, it does not matter what you call them; they all start as prospects and demand information to engage with your brand. It does not mean your loyal field will be bypassed; it is about things like a simple push notification with promotions or making it possible for people to buy with one tab. Consider generating leads and closing the loop to distribute to orphan enrollees as incentives for high performers. Dare to Jailbreak your backend. With a few exceptions, the industry does not embrace open systems. CEOs neglect the importance of the software and nickel and dime vendors only driven to pay the high price of customization with every change order. You pay 30-50K to start, and then you pay on average 5-10K for every change request and not before you wait in line. As time passed by, the more you customize, the stronger your chains, the heavier the anchors, contributing to compromise your backend stability and slow down and agility as you grow. Resist change requests and get an open system where you can decouple your front office from your back office. This exercise will be equivalent to stop smoking; you will see the difference and experience the change in your budget. This action has nothing to do with the UBER theme of this paper but is needed to gain agility and ability to change. Best practices are to be respected as well as the wisdom of veterans, but at the same time it is important to keep innovating, especially under the current circumstances where garage startups are unbundling entire industries. We are in the middle of rapid change cycles; companies like Natura are re-inventing direct selling in foreign markets, and companies like Yanbal are daring to seek new market dimensions. Mobility and social media have empowered consumers and will continue to drive innovation. Neither of these vectors is a trend anymore. Facebook occurs on mobile devices and not on computers, SMS messages have been surpassed by WhatsApp and payments replaced and taken away from the financial elephants. It is time to re-think, study and understand how UBER operates, how to use mobile and social media, how to remove the change barriers to innovation and conveniently create amazing user experiences. The challenge is not Uber, we should fear our resistance to change and challenge ourselves. Look at the big names troubling to stay on top. Consider the shrinking brands that lost their touch, and look even more carefully at the companies that are at the very center of their industry, the ones that dare to do things differently.